How many of you have seen those huge spools made of wood that are used for carrying the large cables? I think all of us have seen them so many times in some construction sites. You must be thinking that what exactly we have got to do with them, so just have some patience guys. 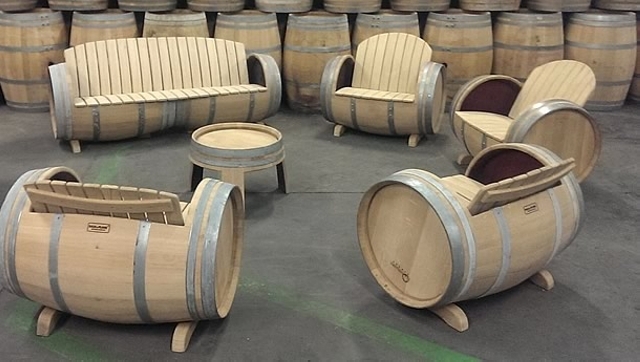 We are going to recycle them in various furniture items. This is just another initiative by our smart crafters who have decided to take this artistic step. Well, you need to have a look on them to grab one for you. There might be something of your taste. 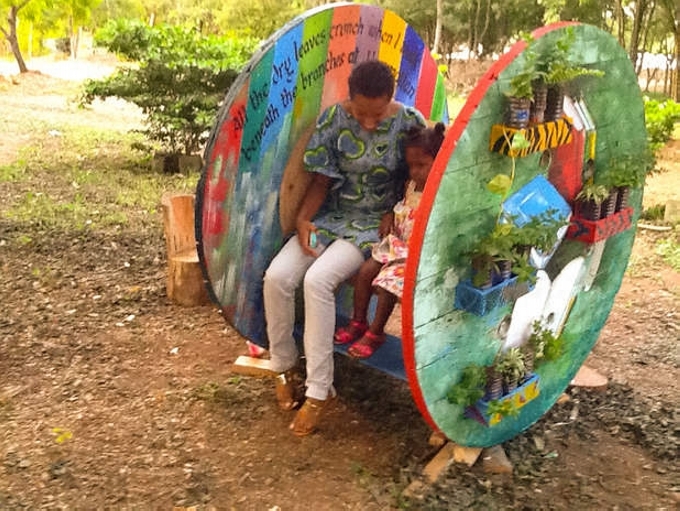 This specific outdoor bench shape has been recycled by our crafters with multiple materials, this time we are recycling it with the wooden cable spools. 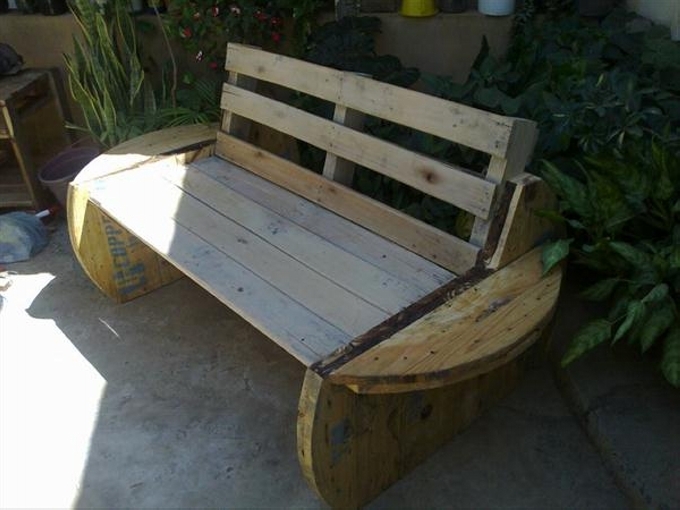 In making the seating and back space of the bench we would take some help from the shipping pallets to grab some straight pallet planks. 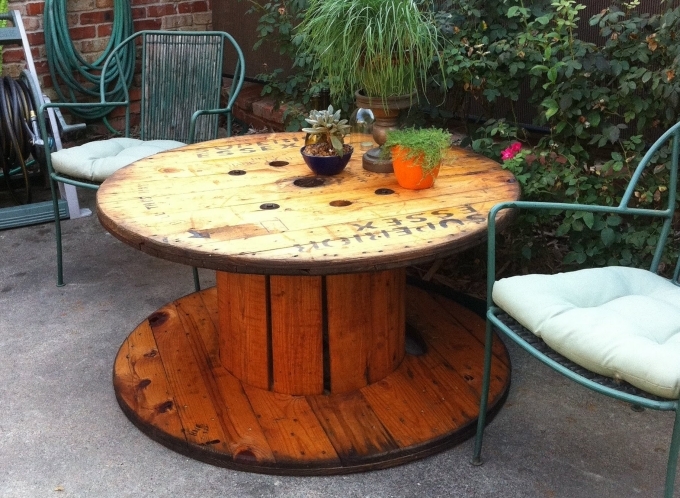 This one is a cute cable spool recycled wooden table. It has got a special feature which is its reclaimed metallic legs that we obtained from a broken furniture item that had long been discarded. and a whole circular sheet of spool is installed as the top of the table. 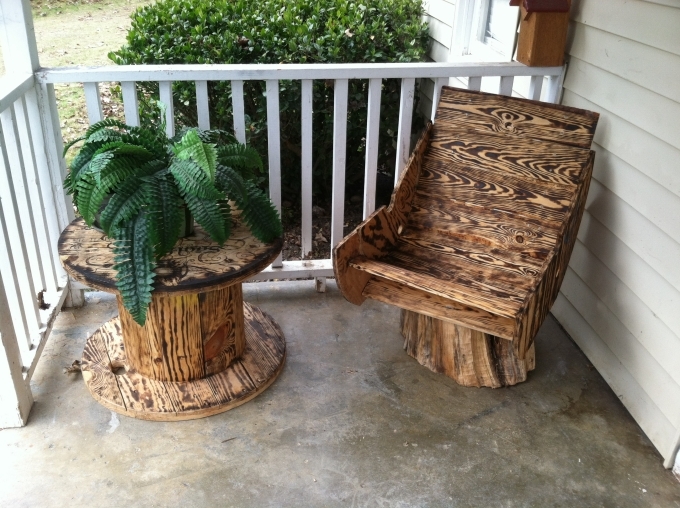 Never in your life you would have seen such an artistic furniture item unless you are not visiting some crafter’s home. 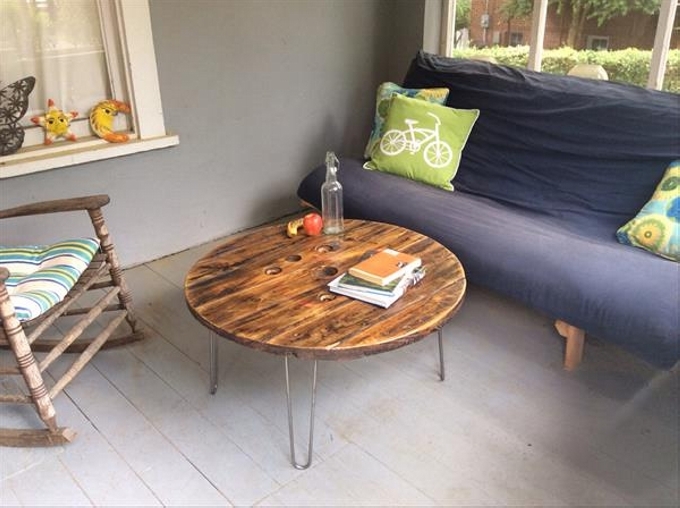 This is a classic cable spool recycled furniture item, where we see a large wooden couch along with a wooden side table. Both of them are the creation of cable spool. 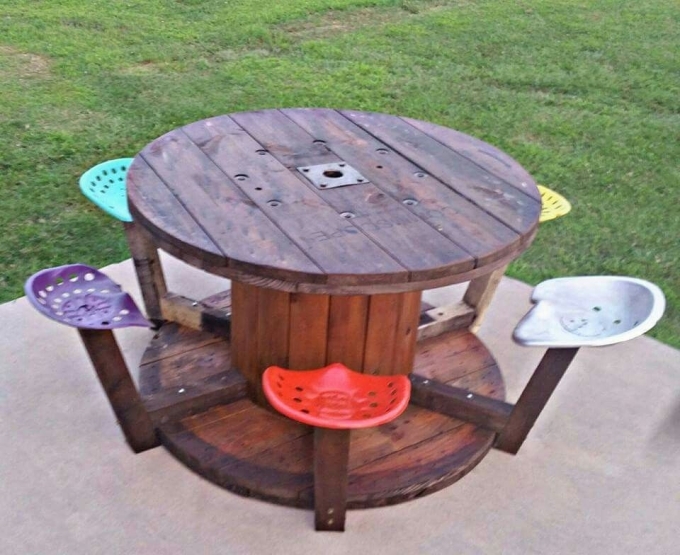 Even if you are looking for some artistic furniture option for your balcony and you don’t want to go for some expensive market based furniture items, recycling this wooden cable spool would be a great option for you. 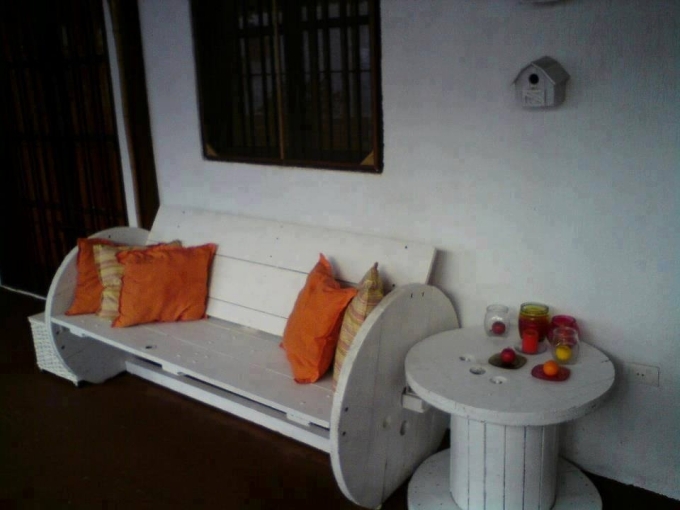 This would provide you some vintage sort of furniture that would look pretty great in the balcony. How about this wooden beauty? It has got the prettiest shape so far. 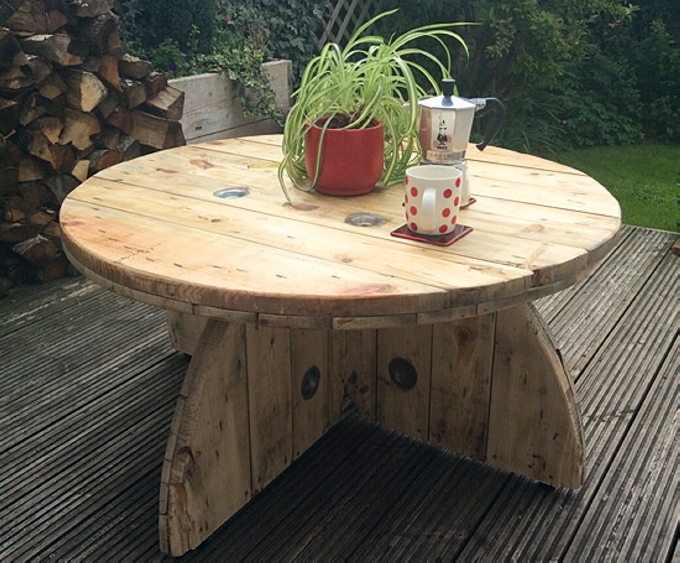 All the circular wooden top of the spools are used in recycling this wooden beauty. 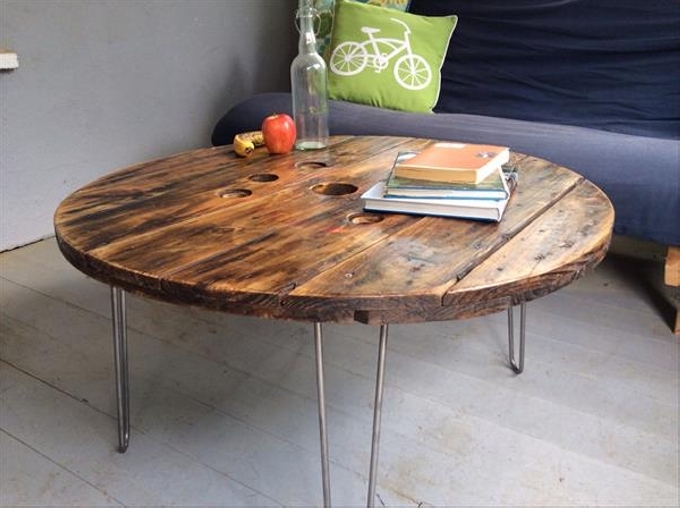 A whole round spool top cut into four pieces is installed on the base of the table. 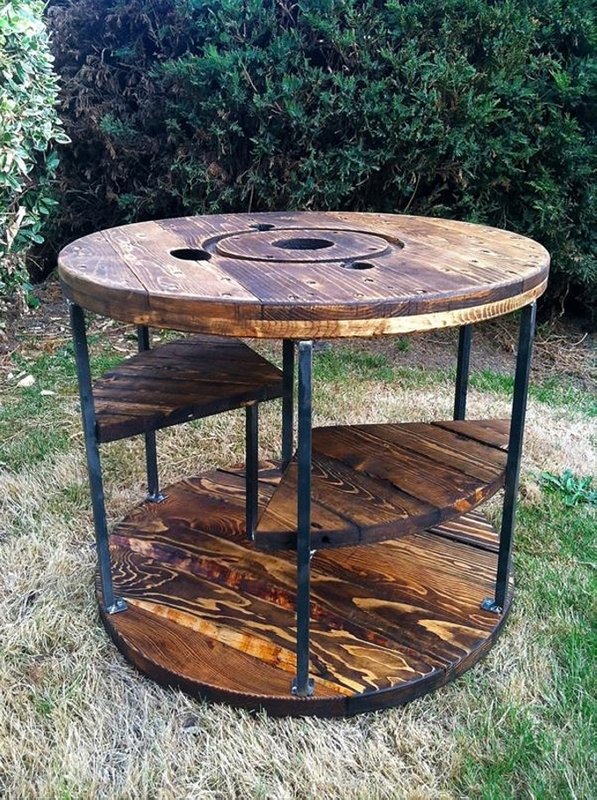 If you are not happy with the quality of wood that you have got in the shape of cable spool, you can add something additional like some reclaimed metallic legs to add more attraction and charm in the furniture item. This would also give them an industrial look as well. 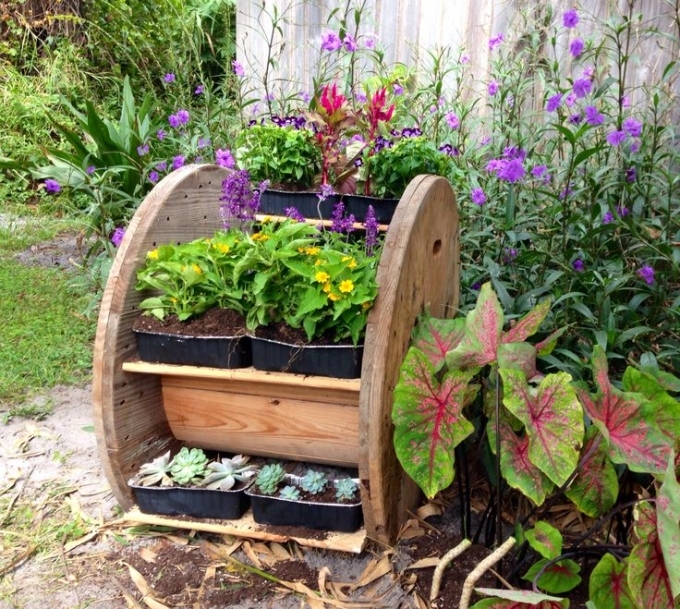 Turning a wooden cable spool into a planter would also be a smart choice as it has got plenty of material to be consumed. 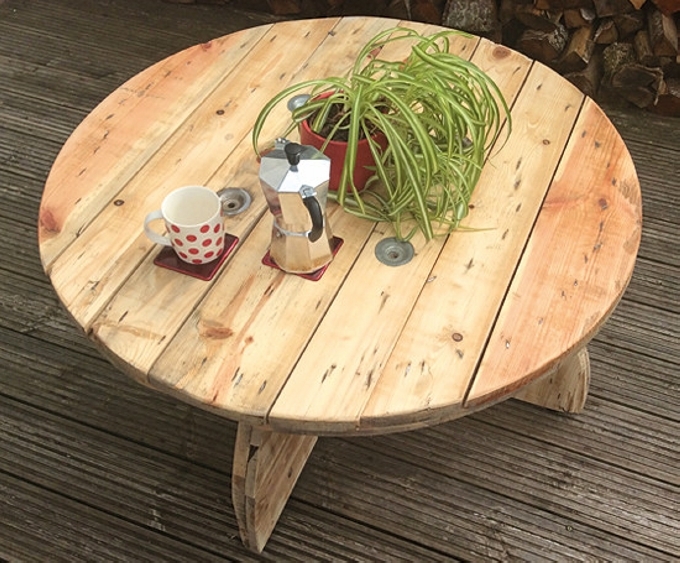 This is a great recycled wooden planter recycled using the cable spool. 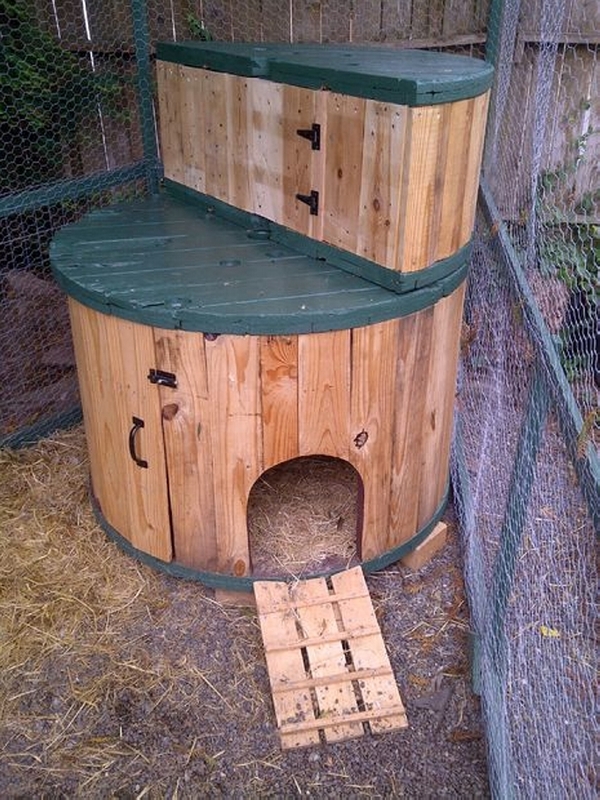 This would also be tolerant to the extreme weather conditions as well. 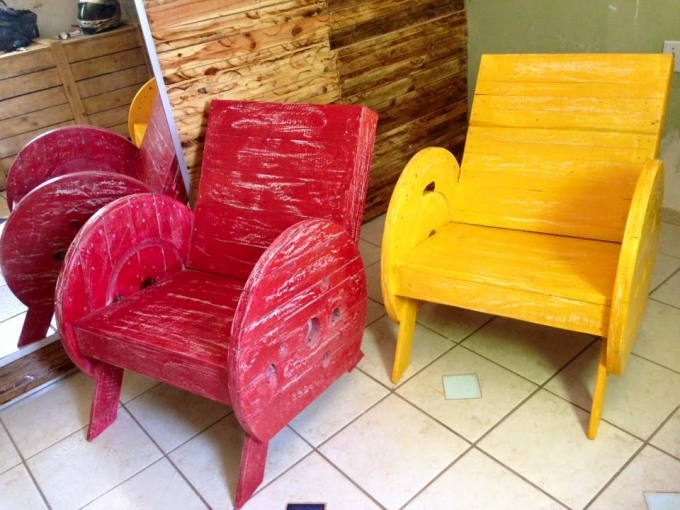 And I am simply more than sure that your kids are literally going to love these colorful couches, they would be immensely fascinated by the shocking colors that you have used on these cable spool recycled couches. 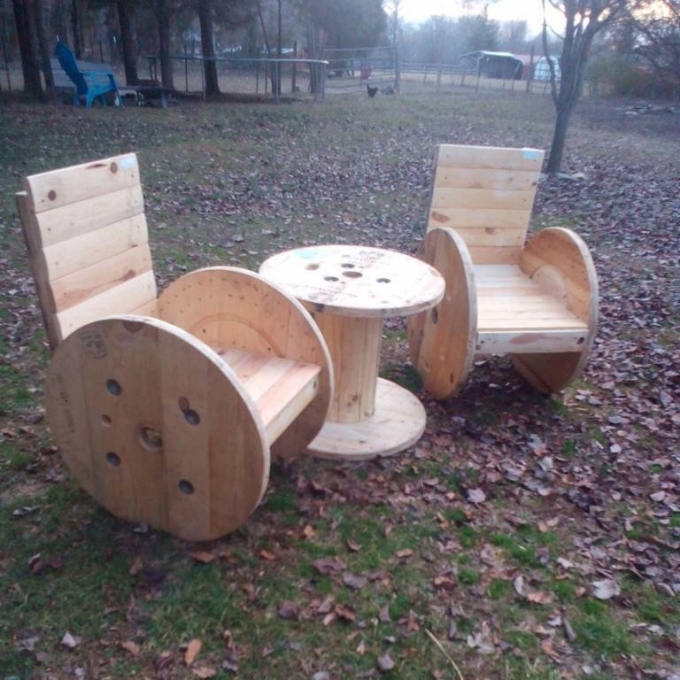 A great furniture item for their study and recreational hours.